We at Imagine That! Studios are big fans of author, Chuck Wendig. With a colorful, no-nonsense, not-always-safe-for-work witticism, Chuck brings an honest approach to life as the modern offer. He has established an impressive bibliography of both traditional and self-published work, and he uses a term that we too have been using to describe our own publishing careers: the hybrid author. But what exactly does that mean, or to put it in Chuck’s own words: What the Hell Is a “Hybrid” Author Anyway? And on his blog TerribleMinds.com, Chuck gives both the pros and cons of exactly what it means to be a hybrid author. 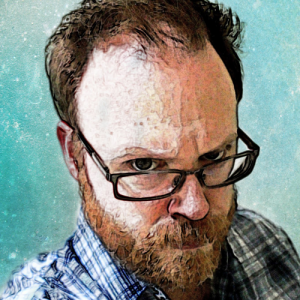 On this blog, I have shared my own thoughts on pursuing a career as an independent artist; but for a second opinion, have a preview of what Chuck Wendig breaks down as the pros and cons of being a hybrid author. Sounds like we were made in a lab. A squirmy worm-mote in a test tube. Growing at an alarming rate. Genetics forged from a hundred different authors — Joyce, Woolf, Dickens, Rowling, King, a dash of Lee Child, a squirt of Neil Gaiman, an injection of Danielle Steel. A thousand books in our blood spinning, whirling, forming a helix-pudding of raw literary puissance. We swell. We burst from our enclosures. We run amok. We form tribes. We create, and then we destroy. The “hybrid” author is not so exciting as all that, I’m afraid. The hybrid author merely looks at all the publishing options available to her. She is told she is supposed to check one box and move on — “Stay within the clearly-marked margins,” they warn. “Check your box, choose your path, then shut the door gently behind you.” But the hybrid author checks many, even all the boxes. The hybrid author refuses to walk one path, instead leaping gaily from path to path, gamboling about like some kind of jester-imp. She says no to coloring within the lines of a traditionally-published or a self-published drawing. Read the rest of the article at TerribleMinds.com!